History has been made: SpaceX touches down Falcon! Reusable rockets are here! 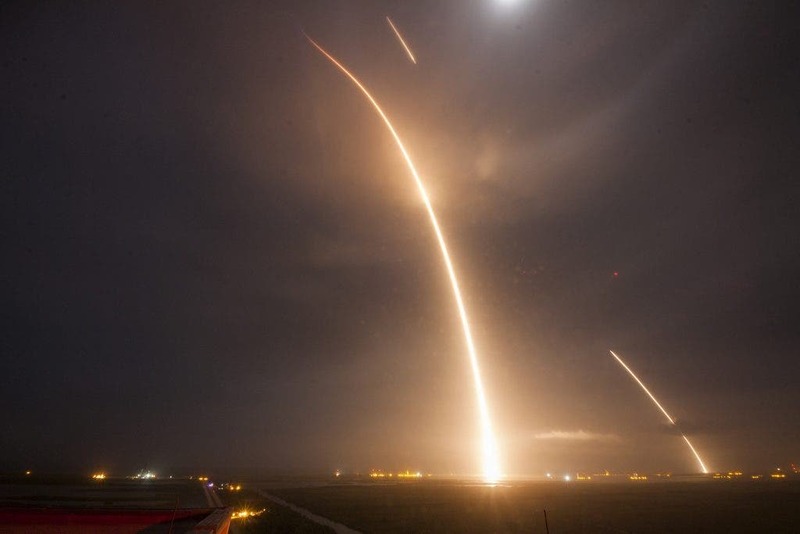 Last night will remain in history as the first time anyone – private company or government body – has ever launched a rocket in orbit, then safely landed it on Earth. Kudos to SpaceX and Elon Musk’s leadership who made all of this possible. The patience and hard work of SpaceX engineers have finally paid off, as building a reusable rocket has been the company’s main goal since it was founded in 2002. Musk says a Falcon 9 costs in the range of $16 million, but the fuel (mostly oxygen and a gas) costs only $200,000 per launch. Imagine what would it mean to launch payloads into orbit for under a million dollars. What about under $500,000? This was deemed impossible only ten years ago, yet here we are. Previously, SpaceX failed four times in its attempt to land the Falcon 9 on an”autonomous spaceport drone ship” in the Atlantic Ocean. Almost each time, the booster came in too hard and exploded on the deck. This June, the Falcon 9 didn’t even made it to orbit after the entire rocket was destroyed seven minutes into launch. A faulty strut was cited as the root cause. Last night’s launch featured some upgrades, like “increased boost thrust, deep cryo oxidizer and a much larger upper stage engine bell,” Musk wrote. The successful landing comes just weeks after Blue Origin, a space company headed by Amazon founder Jeff Bezos demonstrated a reusable rocket of its own. However, Blue Origin’s New Shepherd is in a whole different league. While New Shepherd can barely stay in sub-orbit for 15 minutes, the Falcon 9 can be used to deliver cargo to the International Space Station. So, who’s first in the reusable rocket game? Well, technically that would be Blue Origin, and Jeff Bezos seems to think so too (what can he say, right? ).